A new band formed as a new project by DIR EN GREY’s vocalist KYO. In December 2013, made its debut at SUGIZO’s concert as opening act and performed at . 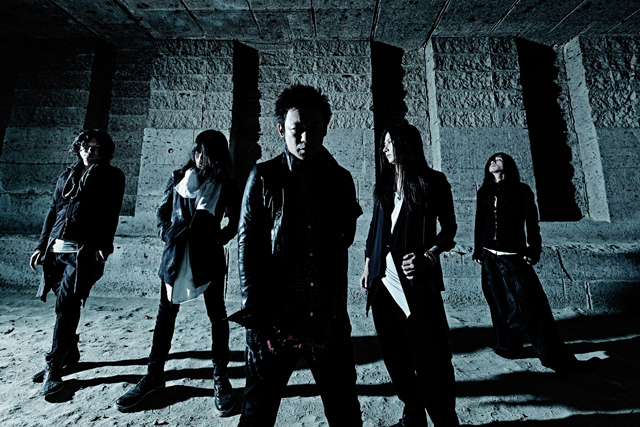 Consisting of five members: KYO (Voice), Takumi (Guitar/Piano), UTA (Guitar), YUCHI (Bass), and Mika (Drums). The music video for their first release “aftermath” was released in 111 countries within the iTuenes Store. The video was entirely created by KYO with the aim to express “beauty within distortion”. All eyes are on KYO as he ventures further into new realms through activity in two bands: DIR EN GREY and sukekiyo.